Wines paired with a menu designed by Anna and David Sheets, 5 courses, only $20 and a discount on the featured wines. Space is Limited, Sign-up Now! Pre-paid reservations are $ 20 per person. Entry at the door—if space is available—will be $25 per person. $5 and a $3 rebate if you buy a featured wine. Unoaked. White flower notes highlighted by a touch of citrus lemon. Enjoy with grilled or sautéed white fish. Cinsault 50%, Cabernet Sauvignon %50. Flowers, pear and hints of lychee. Light and fruity with great finesse. Aperitif or with lighter dishes like fish, salad, roasted chicken. Refreshing blend of Muscat, Gewürztraminer, Pinot Grigio, Rousanne. Fruit forward, natural crisp acidity. Sweet fresh fruit flavors, aromas of pear , citrus & vanilla. Perfect with salads, seafood, chicken, soft cheeses, & takeout. Deep ruby red, this wine shows complex aromas of fresh ripe currant and blackberries with spicy notes surrounded by subtle touches of vanilla and moch. Ripe blackberry, plum & spice. sweet-and-sour dishes, home stews, pâtés and duck liver, pasta, chicken and oily fish. Ripe, juicy notes of black plums, cherries, and spice shine through with a soft, smooth finish. Perfect wine for sausage pizza and eggplant pasta. Vertical & Horizontal Blending of Merlot, Malbec and Cabernet Sauv. Vibrant red currant, black cherry and fig notes balanced by cedar, dried herbs and resin, a lush mid-palate and a long clean finish. Grilled skirt steak, lamb sliders, Barbacao Tacos. We’ll taste 10 wines from Europe’s 2015 Winery of the Year. 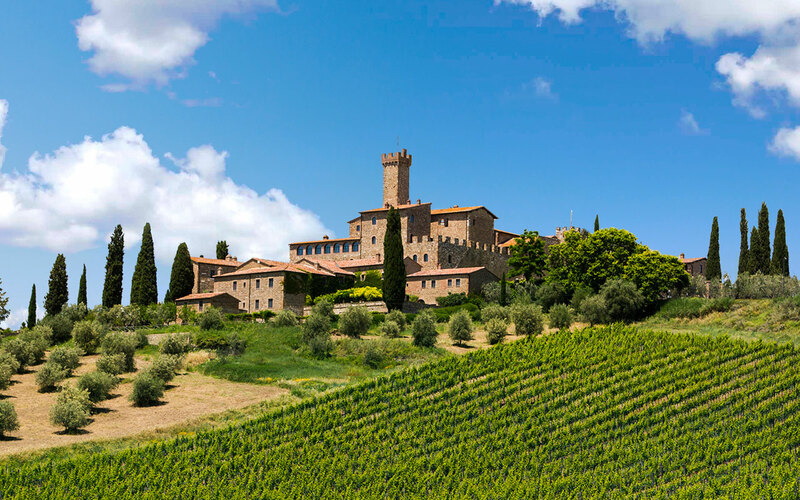 Banfi’s Avery Harris will tell us about the grapes, the regions, and how the wines are made. We’ll also have yummy snacks halfway through. 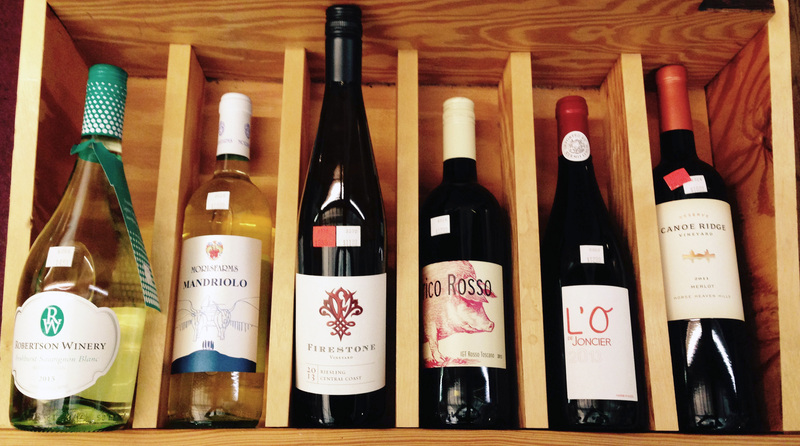 $20 and a big discount on the featured wines. Green-tinged pale straw. Delicate fizz immediately evident on the palate, elevating fresh cut grass and quince aromas. Lemon twist tangyness falling away to food friendly finish. Oysters, Sushi, Cream-based Pasta, Aperitif. Exudes flavors and aromas of green apple, lemon and lime zest, mandarin, jasmine tea and just the right amount of sweetness. Pairs with General Tso’s Chicken, Goat Cheese, Grilled Halibut. 85% Riesling15% Gewürztraminer. Exudes flavors and aromas of green apple, lemon and lime zest, mandarin, jasmine tea and just the right amount of sweetness. Fish Tacos with Crispy Pickled Jalapeños, Moo Shu Shrimp, Greek Salad. 98% Grenache, 2% Cinsault. Nose of black cherry, blackberry, blackcurrant, faint hints of blueberry, violets, Soft tannins with juicy briar fruits. Camembert, Charcuterie, Coq au Vin, Cornish Game Hens. 90% Sangiovese, 10% Merlot and Cabernet Sauvignon.With aromas of cherry, cranberry and subtle spice, Frico Rosso offers cherry, plum and earthy notes on the palate. BBQ Beef Ribs, Chicken or Pork. Pizza Margherita. Concentrated aromas and flavors of cherry, raspberry and chocolate layered with notes of cinnamon and vanilla.